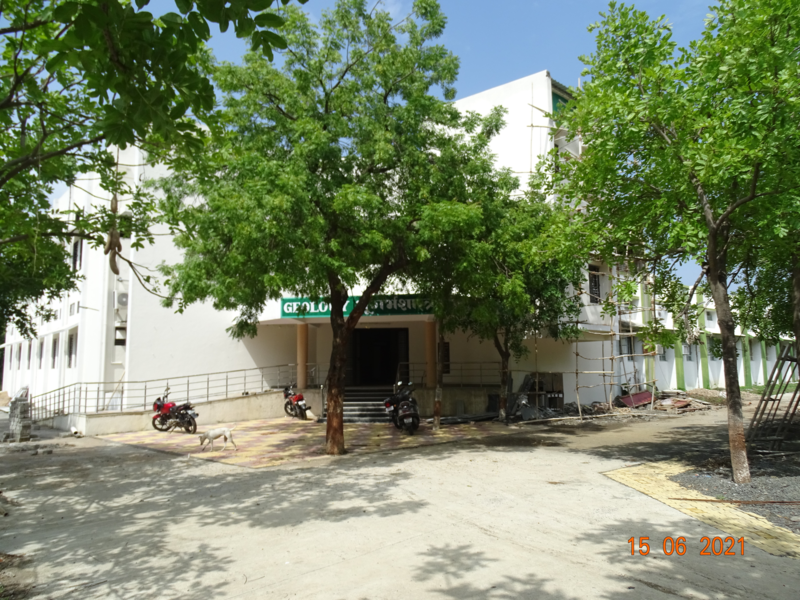 The Post Graduate Department of Geology was established on July 1990 at Bharatiya Mahavidyalaya with Shri A.J. Gadewar as the Coordinator. Dr.A.K.Srivastava joined the department as Lecturer and Head in July, 1991. Dr. S.F.R. Khadri joined the department as Reader and Head in December 1996 and Professor and Head from 2004 onwards till date. The Vision of the department is “Geology for all to achieve sustainable development" and the Mission of the department is “Imparting geological knowledge for regional and global development at par with technological innovative excellence"
The department provides basic as well as advanced research facilities for PG learners and researchers. The department is recognized for various laboratories of Igneous Petrology, Geochemistry, Palaeomagnetism, Hydrogeology, Remote Sensing & GIS, Environment Geology Paleobiology and Sedimentology. The department was awarded Innovative Programme on “P.G. Diploma in Watershed Tech. and Management” during the UGC XI Plan period for 5 year (2007-12) with Dr. S.F.R. Khadri as the Coordinator with an outlay of 42.84 Lakhs in which AAS with 25 cathode lamps, GIS software, Watershed modelling software and water purification system were procured. The department was once again awarded another Innovative Programme on "P.G. Diploma in Remote sensing and GIS" during the UGC XII Plan period for 5 year (2013-17) with Dr. S.F.R. Khadri as the Coordinator with an outlay of 48 Lakhs. The faculty members of the department are carrying out advanced research in the fields of Igneous Petrology, Geochemistry, Palaeomagnetism, Hydrogeology, Remote Sensing and Sedimentology. The department has established Consultancy cell in water resource management, dame site selection and environmental management for generating financial resources. The department is successfully running two extension activities under TRDEA approved by MC on (1) water resource development of rural part of Amravati region (2) Groundwater quality testing of the highly populated slums of Amravati City.